The Monte Casino Hyundai hot air balloon exploded in the air after it crashed during a safety check. 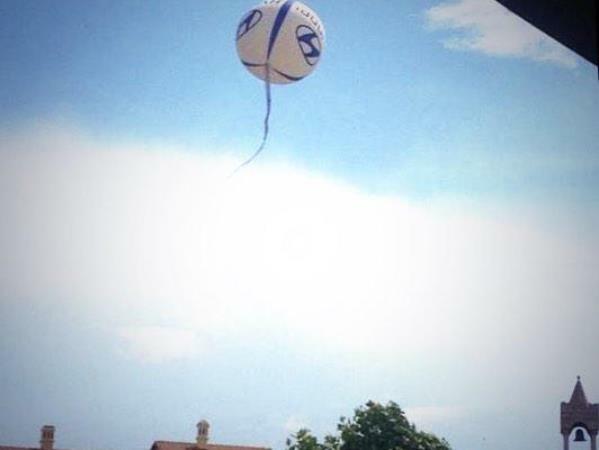 One person sustained minor injuries when a helium balloon at Montecasino, in Fourways, was involved in an accident, the entertainment centre said on Friday. "During a test flight, an unexpected and forceful gust of wind blew the Hyundai helium passenger balloon onto the tower of a building at Montecasino," said Montecasino spokeswoman Priya Naidoo. "The operator has minor injuries." She said Montecasino was "looking into" the incident in liaison with Aerial Displays, the company which operates the balloon. Photographs posted on Twitter showed the balloon detached from its basket and floating in the sky before landing on the roof of what appeared to be a residential home. According to the official website for the Hyundai balloon, it is the largest on the continent and can carry a maximum of 30 people at a time.